I'm interested in how people become who they are. How they choose where to live, who to love and what to do. How their choices and reactions affect their next choices and next reactions. How their mistakes and successes and other people's mistakes and success form them. How one thing can change everything. In answering these questions, I explore the lives of the underdog, the outsider, the seeker, the unsettled. These are the puzzles I write about. "Laura Jones tells an inspiring story of relentless hope, unconditional love, and how dogs and people find their home. It's a story that made me laugh, cry, and cheer. A great book!" Lynne Cox, best-selling author of the memoirs Swimming to Antarctica and Grayson. “Totally enjoyed the book.” Susanne Kogut, Executive Director of the PetCo Foundation. “If you love dogs and good writing, you have to read this book." Pam Wahl, Publisher of Virginia Maryland Dog Magazine. Sadie and Sasha’s transformation from abandoned, near-feral dogs into beloved pets was never easy, and the outcome was never certain. This funny and touching memoir follows the author’s bumpy, yearlong journey to help these two young pit bulls cheat death and find a real home. Jones keeps you entertained and on the edge of your seat throughout their story as she weaves her personal path to becoming a foster parent with a behind the scenes look at how the best animal shelters operate. She finally proves that one person, no matter her flaws, can make a difference and maybe heal herself a bit in the process. Saving Sadie and Sasha can be compared to The Daily Coyote, by Shreve Stockton, Marley and Me, by John Grogan and other successful dog memoirs. Read the introduction here. Two dollars from the sale of every book will be donated to animal welfare organizations so they can help more dogs like Sadie and Sasha and Pooch. An additional two dollars will be donated for each book sold from this website. There is magic and tragedy in every ordinary life, sometimes just around the corner. Try as we might, though, we can never tell which is coming. The thirteen short stories in Breaking and Entering explore what happens after. After a chance encounter, long forgotten choice or simple mistake breaks the barriers or bonds that either hold people together or keep them apart. Sometimes the results are good, sometimes they are not. But they are always life-changing. With a straightforward writing style, distinctive and diverse characters and an ear for dialog, Jones captures the beautiful and painful clarity that change can bring to a life. Laura S. Jones is a journalist and former attorney who lives with her husband and animals in central Virginia. This is her first collection of short stories. The story Fallout Shelter was originally published in Short Story America Anthology Volume I. The story Renewal won an award from WriterHouse in Charlottesville in 2013. Click here to read the first half of the title story. It’s an open and shut case. Everyone says the only question is whether Connor Braxton deserves to die for killing his girlfriend and teammate. But reporter Gale Hightower’s instincts tell her that there is more to this tragedy — and more people involved in it. People who set things in motion that a college kid was powerless to stop. But can a killer be both guilty and innocent? 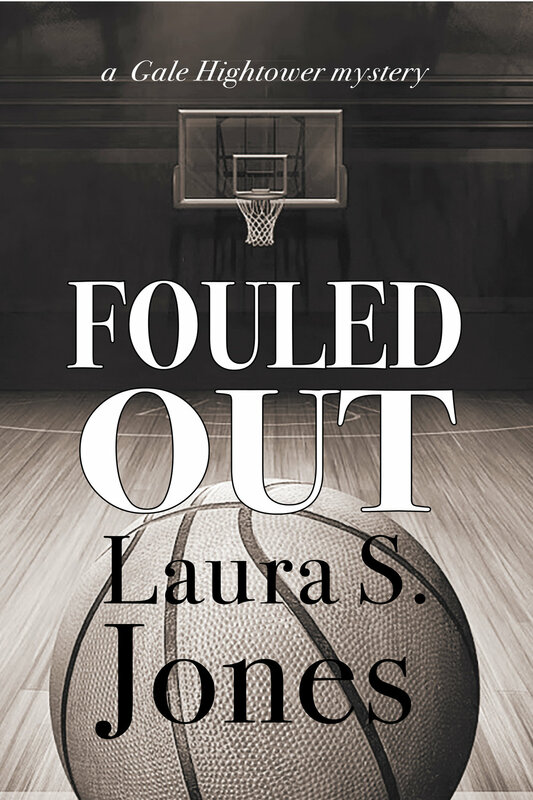 In Fouled Out, my mystery about the shadowy intersection of greed, drugs and college sports, the answer is maybe. Read the first two chapters here and click here to read reviews and purchase paperback or e-book versions. A summary sheet is available here.